The new opera Blank Out by Michel van der Aa is a performance in which live singing, 3d projection and electronic music are being brought together. The libretto is based upon the work and life of South African poet Ingrid Jonker. The set of Blank Out is constructed in miniature, like an architect’s model. A 3D film acts as a backdrop, and is projected live via a camera that the singer moves around the model. As the woman moves the camera she not only changes her visual surroundings but also appears to be ‘playing’ her environment. In the performance not only do we see live projections, but also pre-recorded material. At times the singer moves in front of the screen, by which she appears to be inside her self-created world. The light design brings together these different worlds. 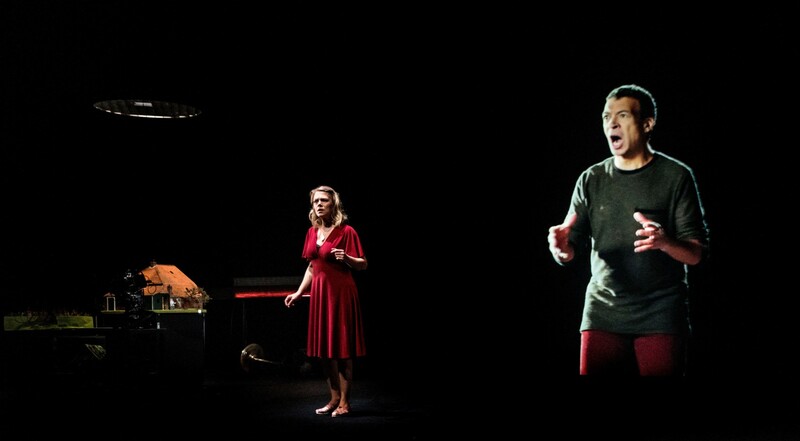 Blank Out is a coproduction of Dutch National Opera with the Lucerne Festival, and Teatro dell’Opera di Roma.